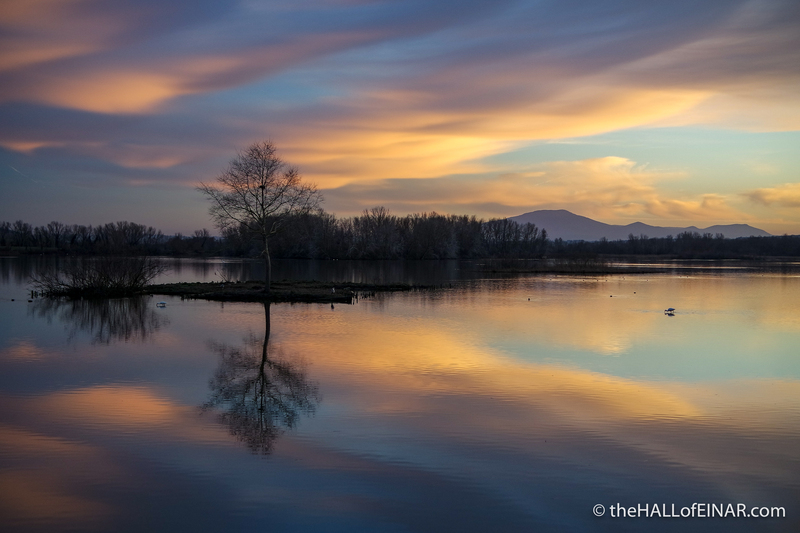 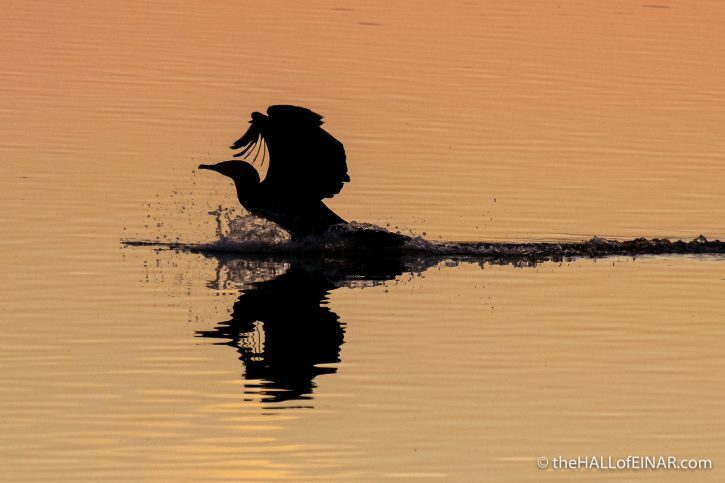 A Cormorant takes flight at sunset at the Lago di Alviano. 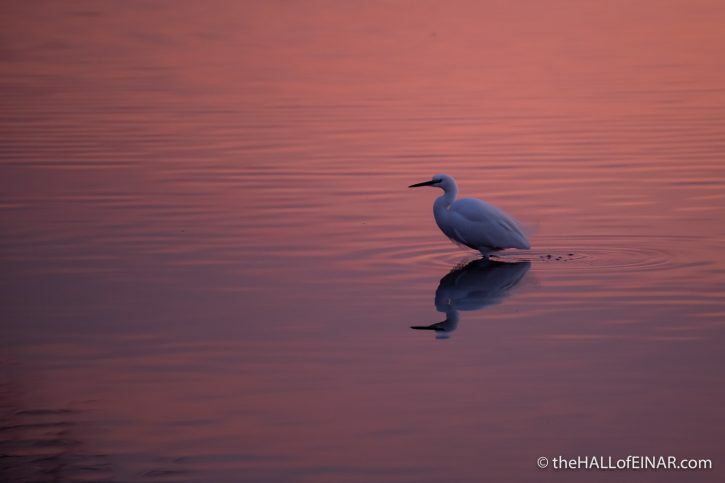 A Great White Egret is still there after sunset. There’s also a Spoonbill still out there, swinging from side to side in the darkening water. 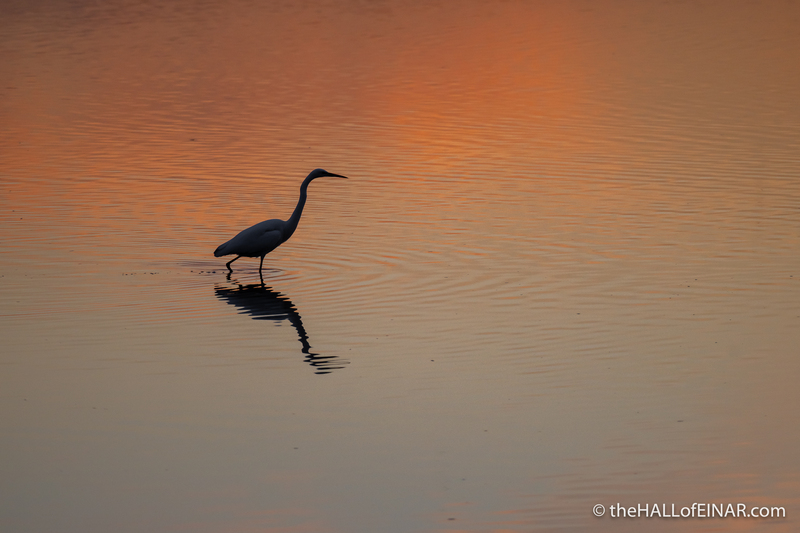 It’s dusk at Lago di Alviano and someone’s still hoping for the last fish of the day.